In the mid-2000s the Lighthouse Tower faced much-needed repairs. Time and Nature, two forces that will always be present on the coastal landscape, had brought the property to a point of necessary intervention. In 2007 the Point Arena Lighthouse Keepers, Inc. (PALKI) Board and Executive Director took steps to find funding for major repairs to the Lighthouse, efforts which yielded donations from the community as well as the largest single funding source in organization history – an initial $1.2 million grant from the California Cultural and Historic Endowment. With this money tower cracks and infrastructure were restored and the First Order Fresnel lens was removed from the top of the tower and placed on display in the museum. Additional funds were obtained to later paint the tower, thereby completing the restoration and resulting in the ongoing operation of the site to today. Coincidental to the restoration were the 100th anniversary of the Lighthouse construction (second tower) and the establishment of several hundred acres of the adjoining Stornetta dairy lands for public use. The timing couldn’t have been better for the restoration, and the success of the project was a tribute to the hard work and good stewardship of the Board, which began in 1984 and continues to this day. By the time the Stornetta Lands had gone public, the Lighthouse was ready to present a new face to the many visitors that would arrive in the coming years. The Lighthouse legacy lives on. In 2014 the Stornetta public lands became the first land based part of the California Coastal National Monument. At the same time visitation to the Lighthouse grew to record numbers. As hope became reality and the monument was signed into being in March of that year, the Point Arena Lighthouse Keepers were once again preparing the lighthouse property to receive this new level of attention. By tapping into a combination of small grants and savings, the Board approved funds for repairs to the historic Keeper’s Cottages in the form of new roofs, gutters and windows. At the same time the organization was awarded more grants for projects designed to bring advanced technology to the Lighthouse experience. An interactive touchscreen display featuring mammals of the ocean was installed in the Whale Watch Room, along with posters of the marine life and marine mammals that inhabit the ocean around the Light Station. Replica Killer Whale and Harbor Porpoise skulls, and Killer Whale, Great White Shark, Walrus and Megadolon teeth enhance the overall learning experience in the Whale Watch Room. These upgrades to the Whale Watch Room have been particularly popular with our young visitors, and we thank the Community Foundation of Mendocino County and many other donors that made this new exhibit possible. Our (hoped for!) next addition to the Whale Watch Room is an infrared camera system that captures the passing marine mammals and will allow visitors to view the images both real time and historically. We are currently putting together the design package so that we can pursue funding for this exciting new installation. To maintain in perpetuity, the historic Point Arena Light Station – including the 23 coastal acres it encompasses, its 115 ft. Lighthouse Tower and its 1896 Fog Signal Building – for the inspiration, education and the enjoyment of all generations to come. The Point Arena Lighthouse is a registered 501(c)3 nonprofit. All donations are tax deductible. To donate to the Lighthouse, please click here. To become a member, please click here. 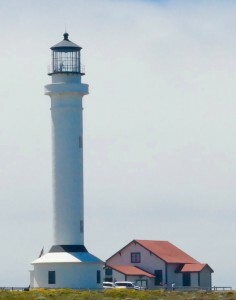 The Point Arena Lighthouse has been a popular site for several films, both small and large screen. 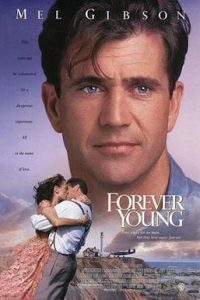 The two best known films shot at the Lighthouse, Forever Young (1992) and Need for Speed (2014), both used the Lighthouse for the grand finale of their stories. The Iranian-American romantic comedy Shirin in Love (2014) also featured the Lighthouse. Russian singer Albina used the Lighthouse grounds and Tower to film her music video I Am With You (2017) and got the perfect coast day as you will see when you watch the video. Film student Paul Bestolarides chose the Lighthouse for his short film The Lightkeeper’s Story (2018), which used the Lighthouse Tower, grounds and Manchester State Beach for many of its scenes. 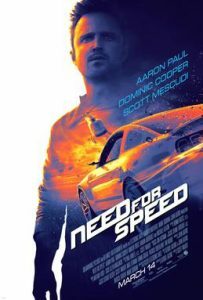 If you are a film maker, advertising agency, location manager or music producer looking for a great location to film a movie, ad or music video, please contact Mark Hancock, Point Arena Lighthouse Keeper’s, Inc. Executive Director. He can provide information on using the Point Arena Light Station’s 23 acres of grounds surrounded on three sides by the Pacific Ocean, its historic Fog Signal Building and the 115′ tall Lighthouse Tower – tallest lighthouse on the Pacific coast – as an amazing and photogenic location. Mark can be reached via email or by calling 707-882-2777.